When Lucifer rebelled against God, the Archangel Michael was there to stop him. Now, ages later, Lucifer and his forces from Hell are trying to destroy God's creation, mankind, and it is up to Michael's Angles to stop them. 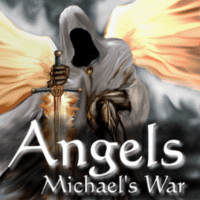 Angels - Michael's War is a casual card game for 2 to 4 players in which players take the role of Michael's commanding Angels trying to stop Hell from harming mankind. Match symbols on Angel cards to symbols on Demon cards to defeat them, and when the game ends, count the points on all the Demons defeated, Angels played, and Major Victory cards claimed during the game.